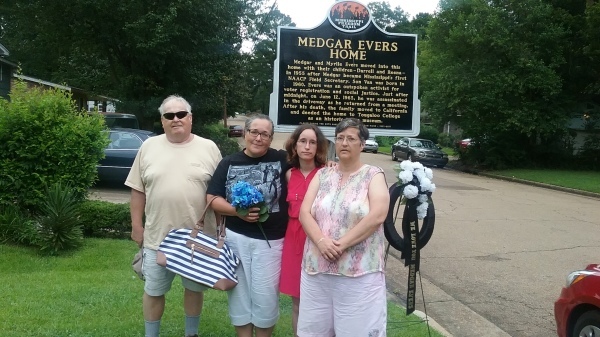 Civil Rights Sites that have been visited by Montgomery Tours guests. 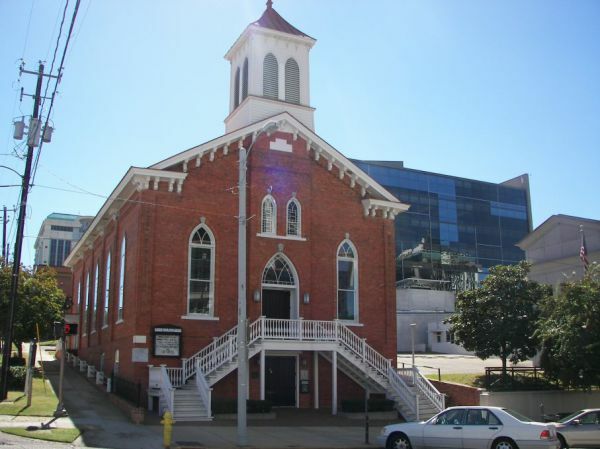 The Dexter Avenue King Memorial Baptist Church, was founded in 1877 in a slave trader's pen, located on Dexter Avenue (formerly Market Street) in Montgomery, Alabama. 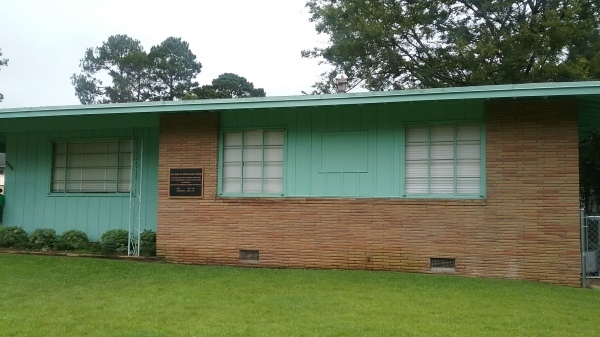 Dr. King was the pastor from 1954-1960. 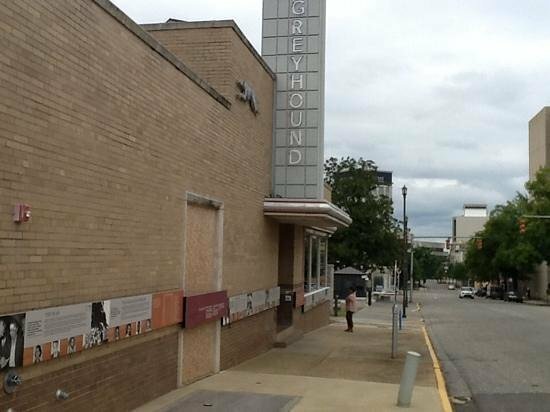 The site of the 1961 Freedom Riders Riot. 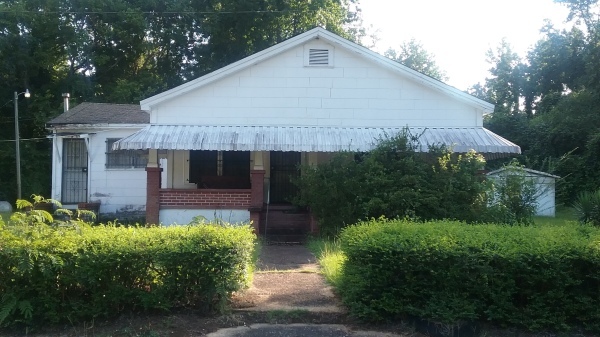 Childhood home of Coretta Scott King. 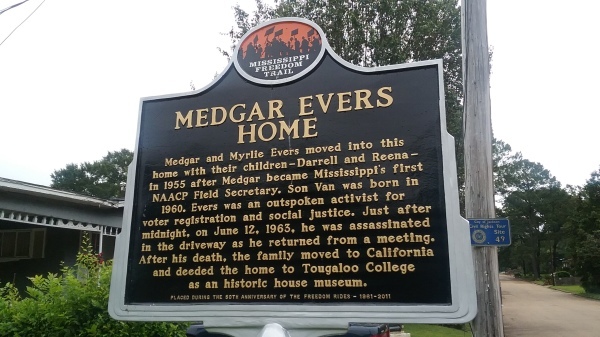 This is also where her marriage to Martin Luther King, Jr. took place. 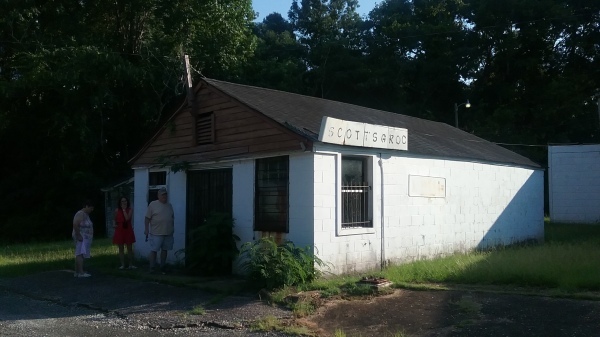 Located in Heiberger, Alabama. 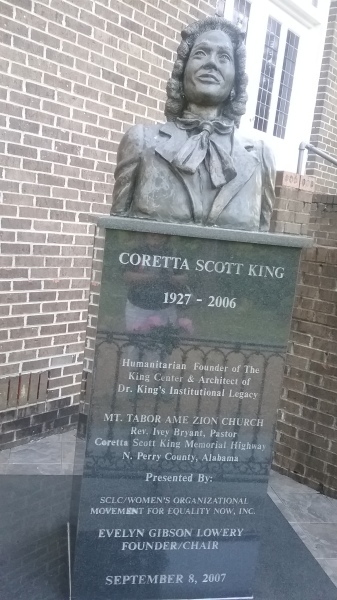 The home church of Coretta Scott King located in Heiberger, Alabama. The kitchen of Dr. King's epiphany. 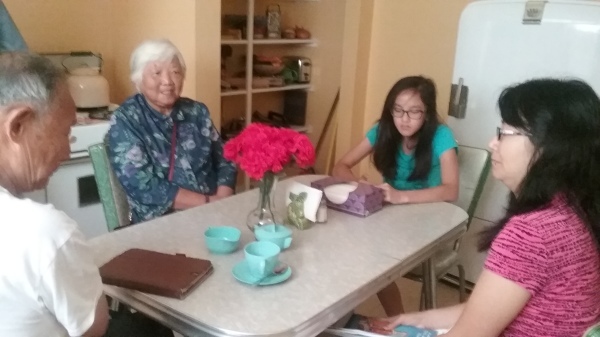 Jake Williams with tourists from London, England at the Dexter Avenue Parsonage. 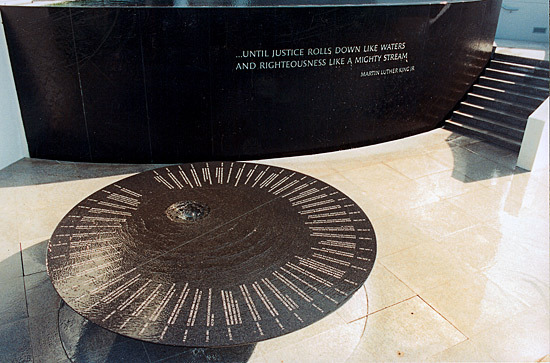 The Civil Rights Memorial is a memorial in Montgomery, Alabama, to 41 people who died in the struggle for the equal and integrated treatment of all people, regardless of race, during the Civil Rights Movement in the United States. Jake provided a great tour. 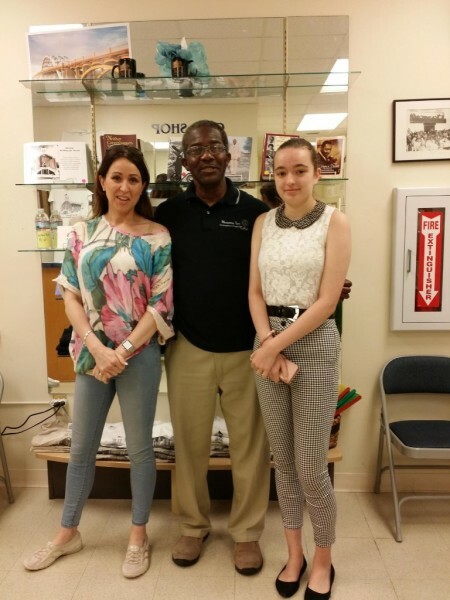 His personal experience enriched the tour tremendously. His knowledge of history was phenomenal. He brought the civil rights era alive for me. He answered all of my questions and gave me new perspective. It was a memorable day. I recommend him highly! 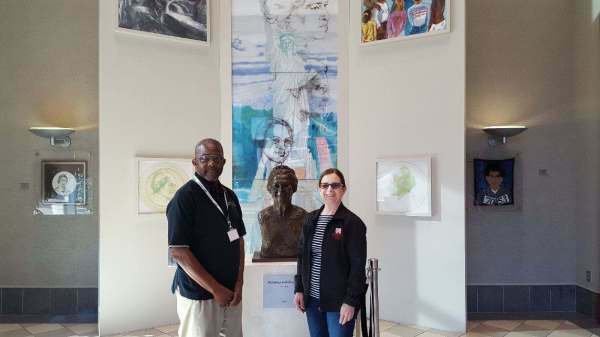 "Thank you Jake for a wonderful view into the history of Montgomery!" 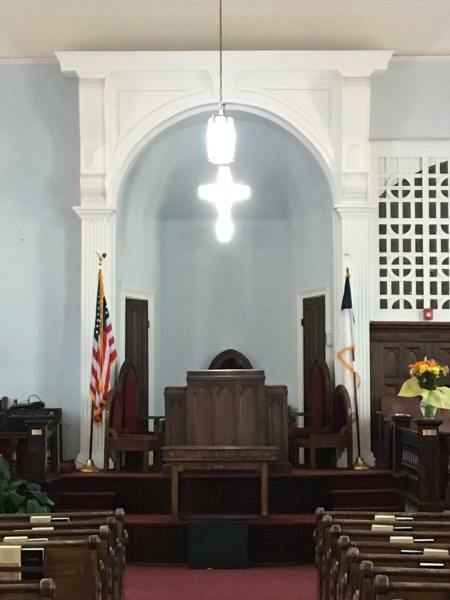 View inside Dexter Avenue King Memorial Baptist Church. 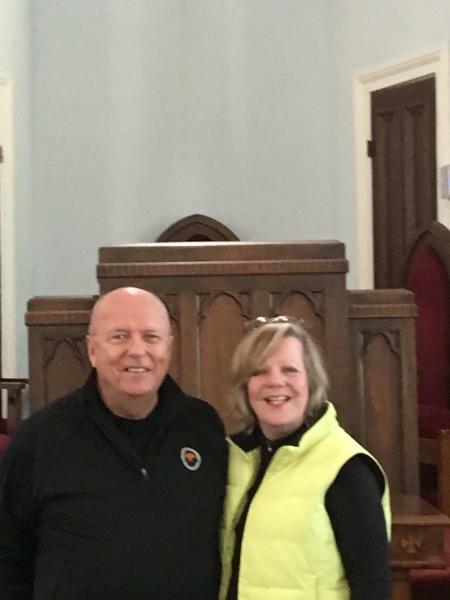 The pulpit from where Dr. Martin Luther King Jr. preached from while pastor in Montgomery, Alabama.